NLSC Forum • SWISH | Retired. Re: SWISH | wcf: game 2 - does portland tie it up? Should be up 2-0 going back to Portland but I guess taking one on the road is good enough. Another game, another thrilling shootout. Unfortunately for the home team Portland Trail Blazers, they fell just short down the stretch, losing game 3 in a heartbreaker. This thing was a track meet from the get-go. It looked like the 2005 Suns were playing themselves the way the teams ran up and down the court. Both teams were red-hot in the first half - Portland scored 47 points in the 2nd quarter! The lead went back and forth, prompting one Blazer fan to tweet, "someone needs to turn the shooting sliders down". Damian Lillard was sensational all game, as he had an extremely efficient shooting performance, while also dishing 12 assists. He would help the Blazers open up a lead that got as high as 13 points in the third quarter. Of course, a 13 points against this Warriors team is nothing, as NBA fans are well aware. Entering the fourth quarter with a 7 point lead, Blazers fans felt anything but safe. The offensive onslaught continued. Golden State continued to knock on the door, hitting contested threes and making the Blazers pay in transition. 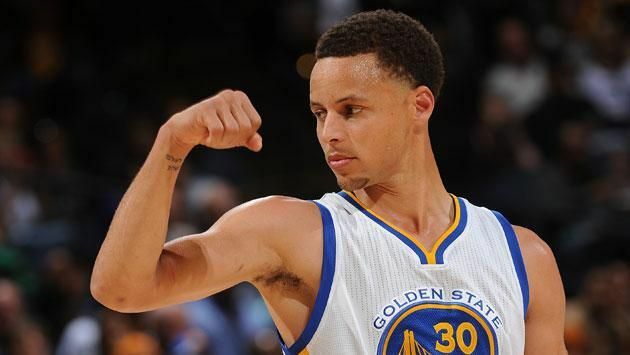 Like Lillard, Stephen Curry also had a monster game, with 35 points and 8 assists. He, along with Durant, Thompson and Pachulia, who had 17 boards, 7 of them offensive, helped Golden State forge a 22-6 run to retake the lead. Down, but not out, Terry Stotts changed things up. With four minutes left, down 8 points, he put in a lineup of Lillard, McCollum, Crabbe, Vonleh and Ezeli and had the Blazers play zone. Against all conventional wisdom, this worked, with Curry and Durant bricking open threes. That eight point deficit became a three point Portland lead with a minute to go. 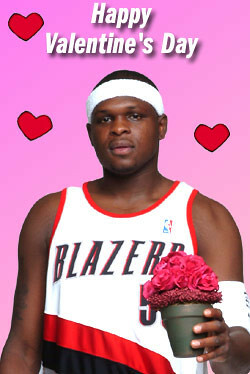 Still, no Blazer fan felt safe. The Blazers, with no timeouts, went to their bread-and-butter, the pick and roll. There was nothing there, so Lillard kicked it out to McCollum who missed a contested three. Lillard fouled himself out and Curry made a pair of free throws to make it a three point game. With five seconds left, McCollum sprinted up court and found Allen Crabbe who bricked a three and that was that. Golden State takes game #3 and with it home court advantage and momentum. [size=110](Unlike real life) New Orleans can't hang with the Cavs without Anthony Davis, getting blown out on their homecourt in game three. LeBron posted yet another triple double, as he is now two games away from his seventh straight playoff appearance. I imagine your frustration level was quite high after giving up another double-digit lead. Game 4 is even more crucial now. The Portland Trail Blazers won their first six home games in this post-season. They have now lost their last two, courtesy of Steph Curry and company. Portland's offense sputtered out in the third quarter, and never recovered as they will face elimination at the Oracle. The first half was close, par for the course in this series. The Splash Brothers continued to light it up while Lillard continued to lead the way for the Blazers. Golden State led by just three at halftime, but in the third quarter, things went south for the Blazers. Portland's top-ranked offense, which had been able to keep up with Golden State all series, hit a wall. Golden State discombobulated Portland, shutting down the three ball and forcing turnovers at will (Lillard and McCollum coughed the ball up 13 times between the two of them). The Warriors outscored the Blazers 31-18 in the third quarter, and the Blazer fans had bloody stumps where their nails used to be. Damian Lillard started the fourth quarter hot, helping his team pull within 10, but an unfortunate sequence stretched the deficit out again, and Portland could not recover. Allen Crabbe's playoff struggles continued with a 2-12 shooting performance (0-7 from deep), and had a dejected look on his face as he watched Kevin Durant hit back to back threes in his face to expand the Warrior lead to 20. Unfortunately for Shabazz Napier and Dorell Wright, Terry Stotts never pulled his starters, as the Blazer fans watched their team fight a losing battle in what was likely their final home game of the season. Curry had another god-tier game, with 35 points and 11 assists, while Durant and Thompson chipped in 25 and 23 points respectively. Andre Iguodala notably made his first appearance of the post-season, back from his broken ankle suffered in March. He scored 7 points and grabbed 5 rebounds in 21 minutes off the bench. Lillard had 29 points and 9 assists on efficient shooting, but his turnovers played a big part in his team's demise. Down three games to one, the Portland Trail Blazers will need to win three straight games against the Warriors - two of them in Golden State - to make it to the NBA Finals. A third straight Warriors/Cavs finals appears imminent, but in sports, anything can happen… I guess. It'll take some serious meme magic for there not to be a Warriors/Cavs finals year again, as both teams lead their respective series 3-1. Helpless without Anthony Davis, they have once again been destroyed at home by the Cavs, and their most successful playoff run ever will soon be over. Re: SWISH | pivotal game 4 vs gs!!! Not looking good at the moment, but stealing a game from the Warriors is impressive enough, let alone winning at their arena. At the very least, I hope you can prolong your run by another game or two. How unfair is it that Klay is their fourth best player? The Golden State Warriors have defeated the Portland Trail Blazers 118 to 105 en route to their third consecutive NBA Finals date with the Cleveland Cavaliers. In a series in which the first three games could have gone either way, the Blazers were blown out at home in game 4, putting themselves in a 3-1 hole. Like game 4, it was a third quarter run by the Warriors that would make the difference, with Golden State opening up a double digit lead after a back-and-forth first half. Trailing seventeen points heading into the fourth quarter, Damian Lillard shook off a poor shooting start to get the deficit back down to 10 points. However, Durant and Curry could not be stopped with their BS, and their lead stretched back out to 16. Everything was going perfectly for Golden State, until Kevin Durant went down with an ankle injury. The crowd was dead silent as they helped him off the floor. This was a momentum shift, as the Blazers went on one last run - a pair of McCollum free throws cutting the deficit to just 6 points with 3 minutes to go. It didn't take long for Steph Curry to answer though, hitting a three on the other end. McCollum got stuffed by Draymond at the rim, Iguodala dunked on Allen Crabbe, and that was just about that. The Golden State Warriors hung on to win 118-105, beating the Blazers in 5 games for the second consecutive season, and making the NBA Finals for the third. For Portland, it was a very successful season, despite the disappointing ending. However, this team will need to make upgrades in the off-season if they hope for a different result against Golden State next season. Improved defense and more consistent scoring outside of Lillard and CJ are key points of emphasis for this team moving forward. The Davis-less Pelicans managed to keep it close at the Q, but LeBron and company weren't about to let a team led by Jrue Holiday beat them, as they advance to their third straight NBA Finals - the seventh straight for James. How is your salary situation looking? Any room to make a signing or trade in the off-season to improve your team? Salary situation isn't great. Trading Mo Harkless helped, but with Lillard, McCollum, Evan Turner, Allen Crabbe and Meyers Leonard accounting for roughly $100 million, I can't make it rain in free agency. However, the other GM's in the NBA are pretty dumb, so I might be able to make a trade or two to improve things. For the third consecutive season, the Warriors and Cavaliers meet in the NBA Finals. In this match-up of super teams, both are coming in down one star player, with both Kevin Durant and Kevin Love to miss the finals due to injury. LeBron and Kyrie combine for 68 points as the Cavaliers blow out the Warriors at the Oracle to steal game 1. Curry led the Durant-less Warriors with 25, while Draymond flirted with a triple double. Down 2-0 going to Cleveland, Golden State is in a difficult position. However, they did come back from down 2-0 to win a pair of games in San Antonio, so this thing is far from other. LeBron's numbers though! LeBron continues to go god-mode, and it'll now take a miracle for the Warriors to come back and win this series. Then again, no team had choked away a 3-1 lead in the finals until they did last year, so ANYTHING… IS… POSSIBLE!!!!! The Golden State Warriors led 77 to 33 at the half. Let that sink in for a moment. The splash brothers combined for 78 points in a blowout win on the road. One down, three to go…..
Congratulations to the 2017 NBA champion Cleveland Cavaliers! Wow, awfully one sided this one for a match-up between two 60+ win teams. Yeah, Golden State sacrificed a lot of depth to get KD (didn't help losing Livingston in the expansion draft), and with him injured, they just didn't have it. Shame he couldn't have gone down earlier in our series. Now with him, Curry and Iguodala all hitting free agency, the Warriors may be a dynasty that never was. 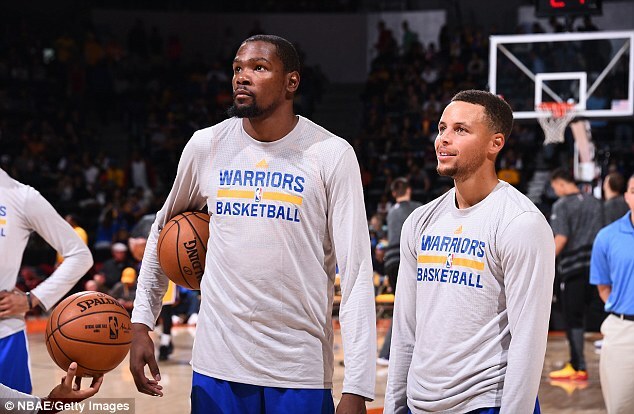 What a shame it would be if the Warriors superteam split up.. It's too bad that you don't have cap room. You could have fixed the mistake of the 2007 draft by signing Durant. Will it be a disincentive to tank? Probably not. Might even cause give teams further cause to avoid the 8 seed at all costs. Makes lottery night a bit more exciting. Still not good television though. The Dallas Mavericks lost Dirk Nowitzki to retirement, but will not have to wait long to find a new franchise player, as they have won the #1 overall pick in the draft. 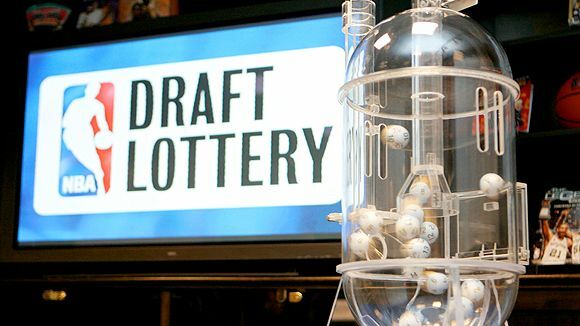 The Celtics will be selecting second, the Heat third. Per the new rule, the top 5 picks in the draft are determined by the draft lottery. After that, draft order is based on record and appropriate tiebreakers. The Portland Trail Blazers own the 28th, 37th and 57th selections. Also hitting the market are Clippers stars Chris Paul and Blake Griffin, Raptors star Kyle Lowry, and the corpse of Derrick Rose, among others. *Red denotes expiring contracts or player options. The Trail Blazers find themselves in a tricky position. While they are a relatively young team seemingly on the rise coming off a conference finals appearance, they were soundly defeated by the Golden State Warriors, and do not possess cap space nor selections in the lottery. Will they keep the team together, relying on internal improvement and perhaps other teams falling off? Or will they make some trades? Stay tuned! Dennis Smith! A guy they hope can be a franchise point guard and team up with Harrison Barnes and whoever to win titles for years to come. Okay! They already have Jaylen Brown, but I don't follow college so okay! It will be interesting to see how this guy fits in with Justise Winslow. Should be a beast though. Avery Bradley and Jae Crowder are a pair of quality starters. Instead of trading them for someone like Boogie, they go for the #4 pick and a bad contract in Solomon Hill. They must think there's a star left on the board. Phoenix meanwhile decides they want to win now by adding two very good players. Does the addition of Bradley mean Devin Booker will come off the bench though? Huh. Okay. That's interesting. Anyway... hold on - a trade! Some thought Fultz would go #1, but he fell all the way to 6! The Bucks are looking really nice, with Giannis, healthy Jabari, Middleton, and now Fultz. 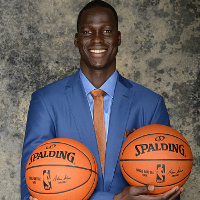 Not to mention the veteran leadership of Thon Maker. Fear the deer? Nuggets will pair future hall-of-famer Nikola Jokic with Dwight Howard. That team will be unstoppable on the glass, but spacing is a major concern. The Hawks meanwhile look to go full rebuild, dumping their veteran Center for a lottery pick. Will they also let Millsap walk? Is Dennis Schroder now on the trading block? So many good point guards in this draft! Elfrid Payton hasn't panned out, and Orlando hopes the guy with the hardest name to pronounce in the draft is also the hardest to guard. After two straight years in the lottery, are the Wizards looking to move on from the expensive and injury prone Bradley Beal? This guy was born in 1998? Wow, I'm not making the NBA, am I? Forget Markkanen, HERE'S the real next Dirk. Bosh doesn't have blood clots any more, but he's getting traded anyway. Paul George, Bosh and Myles Turner is a pretty nice frontcourt! I'm not going to even pretend to know anything about this guy. The Sonics hope to add some talent to a team that was all heart last year. Utah just wants to make the playoffs, after a very disappointing 2016-17 season. The Bucks draft a raw prospect with loads of potential. The Celtics quickly replace Jae Crowder with Harrison Barnes. Probably a downgrade, but Barnes does have a gold medal and a ring! Not sure what Dallas is doing, but I'm not convinced I hate it. Maybe they really wanted Lonzo Ball and knew he would fall? Yep. Terry Stotts begged and pleaded to Lyman Witherspoon to draft this guy, He's a nutcase, and lowkey not that good, but we'll see what he can do. Pat Connaughton's gotta be sweating bullets right now. The Bucks continue to get younger, while the Warriors improve their bench. Blazers take Center Thomas Bryant in the second round. Bryant might be a good backup center. Low risk, medium reward? Good job trading up to get Giles. Hopefully he stays healthier than Oden did. What are the Knicks doing? While I'm at it.....Grayson Allen? Phil89, I definitely see why people prefer myLeague. I'd probably use the trade veto on a couple of those wacky draft day deals. Oh well, keeps things interesting I guess. I'm stoked to have gotten Giles. He's one of the highest rated players in the draft class, and should improve the defense a lot. Valor, Yeah, doing top 5 for the lottery is an innocuous move that I can't imagine too many people would disapprove of (or care about). Bringing pack top 3 seeds for division winners would probably piss some fans off, with the possibility of the teams with the two best records facing each other in the second round. However, I don't see why divisions even exist in today's NBA. Had to take Grayson Allen. Stotts begged me to, and with Darko out of the NBA, I need a token headcase on the team! Lamrock wrote: I don't see why divisions even exist in today's NBA. Outside of scheduling...there really isn't a point anymore unfortunately. Love division rivalries back in the day. NFL does it so well still (prob cause there's only 16 games), not so much for the NBA. After leaving OKC to pursue the "hardest path", teaming up with all-stars Steph Curry, Klay Thompson and Draymond Green, KD has left the Warriors after just one season, to join the Los Angeles Clippers. The Warriors were favorites to win their second NBA title in three years, before Durant got hurt in the conference finals against the Blazers, and had to watch from the sideline as the Cavaliers won the title in five games. Although their team has been gutted with the departures of Kevin Durant, Andre Iguodala and Zaza Pachulia, Golden State Warriors fans can breathe a sign of relief at two-time MVP Steph Curry re-signing with the team. Also notable are the Clippers retaining their all-star duo of Blake and CP3, the Raptors keeping point god Kyle Lowry, first-time all-star Gordon Hayward staying in Utah, and Derrick Rose robbing the Knicks organization of nearly $70 million. It has been a busy free agency period, seeing all-stars Kevin Durant (LAC) and Paul Millsap (DAL) change area codes. Dallas also added Andre Iguodala, in their attempt to rebuild around veteran players. Chicago looks to improve their defense with the addition of Noel, the Thunder did not match the Lakers' big offer for Oladipo, and the Kansas City Knights add a big-time scorer in Rudy Gay. All the major (and not-so-major) signings are below. A decade after being traded to the Knicks, Zach Randolph returns to the team he started his career with, on a one-year deal worth roughly $11 million. Randolph, 36, has spent his last eight seasons with the Memphis Grizzlies, making the all-star team twice in that span and rebuilding his reputation around the league. He will bolster a Trail Blazers bench that has struggled with rebounding and consistent scoring. After a promising rookie year, former D-League standout Jonathan Simmons's sophomore campaign was plagued with injuries. The 28-year old has opted to sign with the Portland Trail Blazers to a one-year, minimum contract. If he can stay healthy, this is an absolute steal for the Trail Blazers, as his three point shooting and perimeter defense make him a solid role player. I like the Randolph signing. He can do the heavy lifting for a year or two whilst Giles develops. These guys are swapping jerseys. In a blockbuster trade, the Portland Trail Blazers have acquired elite defensive center Rudy Gobert from the Jazz for a pair of solid role players, and two first round draft picks. Rudy Gobert, the 7'1", 25 year old French center will be coming to Rip City, in exchange for rebounding savant and advanced stats darling Ed Davis, overpaid (but young) sharpshooter Allen Crabbe, their 2018 first round draft selection, and their 2020 first round draft selection. After months of speculation about Gobert's frontcourt mate Derrick Favors being moved, it turned out to be Gobert on the move. Following a disappointing 40-42 season, the Jazz were fortunate to retain the services of first-time all-star Gordon Hayward, but were likely to make a move after narrowly missing the post-season for the third straight year. Portland was the league's best offensive team last season, but were below average in both defense and rebounding. Adding Gobert addresses these issues, and forms a "big three" with Gobert, Damian Lillard and C.J. McCollum. Allen Crabbe and Ed Davis are solid players, but paying a combined $35 million a year to Allen Crabbe and Evan Turner is a tough pill to swallow when you're already paying the luxury tax. Portland managed to kill two birds with one stone, shedding a bloated contract, while adding perhaps the best defensive center in the game. Missing out on two first rounders will certainly hurt, but should Gobert fit in as well as most expect him to, those picks won't be a huge loss. Even if he doesn't pan out, that 2020 pick is lottery protected. Adding Jonathan Simmons, Harry Giles and Zach Randolph to the team means that their bench production won't suffer too much. It does appear that Giles is expected to start at the 4 however, and his shooting will need to improve if the Blazers hope to repeat as the league's top offensive team. Even if they fall short of that, their improvement on the defensive end should be very significant, and this move likely catapults them into the contenders category. After an injury-plagued 2015-16 season, Utah finally had a healthy roster, as well as a solid veteran point guard in George Hill. Despite that, they once again went 40-42 despite a top-10 defense and Gordon Hayward making his first all-star appearance. Something had to give, and with Quin Snyder retaining his position, it was expected that the Jazz would look to upgrade the point guard position and/or move Derrick Favors. Well, the Jazz actually downgraded at the PG position (unless Rondo's stints in Dallas, Sacramento and Chicago were all just "bad fits"), and instead of moving Favors, they moved Rudy Gobert. Though most would consider Gobert the better player, this deal is far from indefensible. After all, they didn't trade him for Hield and a first... The Jazz needed to make a change, and this one gives them two first rounders, a solid sixth man in Allen Crabbe, and the ability to finally play Favors at his most effective position, the 5. It is true that Crabbe is overpaid, and that the picks will probably be in the late twenties. However, the middle is the worst place to be in this league, and while they gave up a special player, they do have an all-star in his prime in Hayward locked up for the next few years, as well as an increased amount of assets. Would they have preferred to give up Favors? Probably. But they wouldn't have gotten as good a return as they have here. We got Gobert! Nobody can stop Portland from winning the title now! I haven't seen a team this stacked since the 2009-10 Blazers who... oh no. One more off-season article coming, and then it's off to the 2017-18 season at last. On a side note, I hate how you can no longer post images inside quotes. It probably is a good thing in regular threads, but a killer in these association story threads. Maybe I just need to actually learn graphic design skills. In conclusion, yeah. Your next playoff match-up against the Warriors will be more competitive now that they have lost Durant and Iguodala, and you have gained Z-Bo and Gobert. I agree about the picture thing too. I understand why they changed it, but it's still annoying.